Do you have your bucket list written? Get a pen handy, because you'll want to add some destinations to that list today. When TripAdvisor recently released their 2014 Traveller's Choice Top 25 World Landmarks list, we were inspired. From Australia to Europe, Asia to the Americas, all 25 of the featured landmarks had us furiously adding to our own bucket lists, and plotting how we could see as many of them as possible. The great news is that the team here at Flight Centre have put together some deals that allow you to do just that! Check out these 5 famous world landmarks, each of them featured in the top 25 list, and book one of our handpicked holidays to see them for yourself. 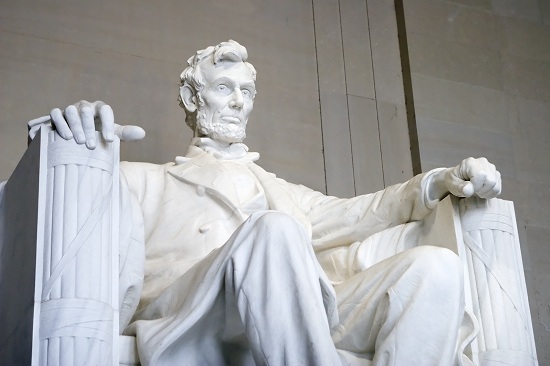 The 16th President of the United States is memorialised in 19 feet of marble in the captial of the USA. The statue of Lincoln sits inside a huge Greek-inspired temple that overlooks a reflecting pool with the Washington Memorial at the other end; the perfect setting for taking spectacular photographs. Washington D.C. is a culture lover's paradise with museums, galleries and monuments galore, all celebrating the USA and its history. Spend 3 nights in Washington D.C. from £665 - includes flights, accommodation and an Arlington Cemetery and DC War Memorials Tour. Click here for details. Almost topping Trip Advisor's list at number 2 is the largest mosque in the United Arab Emirates and the eighth largest in the world. 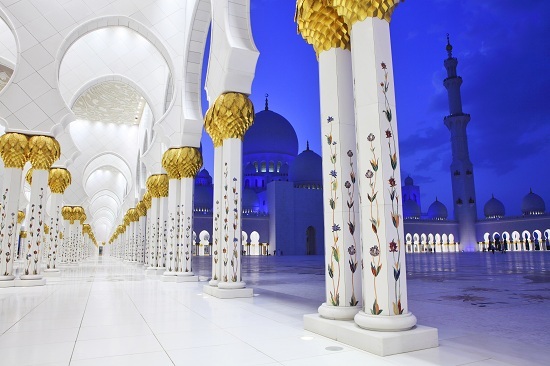 Sheikh Zayed Grand Mosque is located in the capital of the United Arab Emirates, Abu Dhabi. Built with materials from all over the world, this huge mosque can host up to 40,000 worshippers and is home to the world's largest carpet and one of the biggest chandeliers on earth. As well as this spectacular landmark, Abu Dhabi offers cultural experiences, desert adventures and even a Formula 1 race track for visitors to marvel at. Spend 4 nights in Abu Dhabi from £579 - includes flights, 4 star accommodation and a City Spectacular tour. Find out more here! The popular European city of Barcelona is home to many spectacular works by architect Antoni Gaudi, the most famous being his unfinished cathedral, Sagrada Familia. A UNESCO World Heritage Site, this cathedral is intricately designed both inside and out, and is visited by around 2.5 million tourists each year! 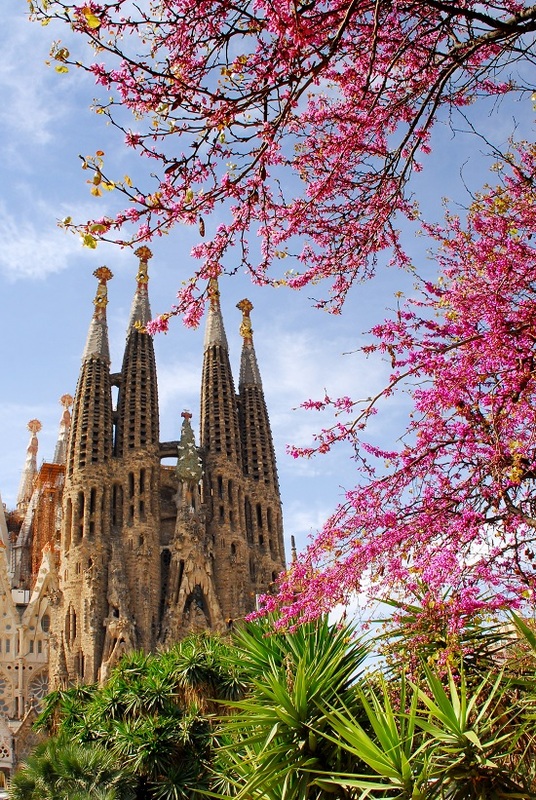 See it for yourself with this 2 night holiday to Barcelona from £195, including flights, 4 star accommodation, breakfast and a Sagrada Familia visit - check it out here. The largest church in the world, St. Peter's Basilica is located in the smallest independent state on earth: Vatican City. No trip to Rome is complete without seeing the impressive dome of St. Peter's and marvelling at Michelangelo's statue inside. Nearby is the world-renowned Sistine Chapel, which is also well worth a visit for more of Michelangelo's masterpieces. Afterwards, grab a pizza and a gelato in the sunshine while you admire the impressive architecture from the outside. Take a trip to Rome for 2 nights from £225, including flights, 4 star accommodation and a Vatican museums tour. Book here! 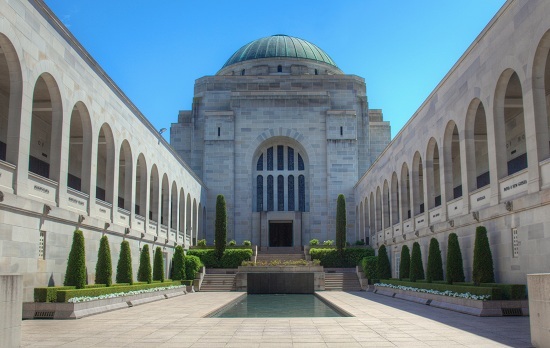 Although Canberra doesn't often appear on itineraries to Australia, the nation's capital has plenty to offer, including the Australian War Memorial. The Memorial was built to honour Australian military who have died in any war, and it is also home to an extensive military museum. There are plenty of other museums and galleries in the area, and visitors can even take a hot air balloon ride over the city to take in the sweeping views. Spend 7 nights exploring Sydney & Canberra from £1,169 - including flights, car hire, accommodation and a Sydney Opera House tour. Click here for details! Are any of the world's top landmarks on your bucket list? Tell us in the comments below!